Every gift you make to HistioUK - whatever its value - could be worth more at no extra cost to you just by choosing to Gift Aid it. Her Majesty's Revenue and Customs will add an extra 25p to every £1 you give to HistioUK. It is simple. As soon as you give your permission by completing a Gift Aid declaration form, we can claim the tax back on your donation. This means that a £10 donation will be worth £12.50 and for every £50 gift, we will actually receive £62.50. No. We can claim the tax back on a donation of any amount that has been made to us in the last four years. It doesn't matter whether you make a one off donation or set up a regular standing order or direct debit. 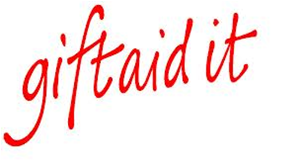 A single Gift Aid declaration will cover all future donations that you make to Histiocytosis UK if you are a UK tax payer. Am I eligible to make a Gift Aid donation? If you are a UK tax payer, yes.